You certainly know the saying – If it ain’t broke, don’t fix it! Well, this philosophy may work well enough for some, but that simply isn’t the HelloFresh way. The hardworking lot behind this popular meal delivery service believes that there is always room for improvement and never fails to exceed our expectations. 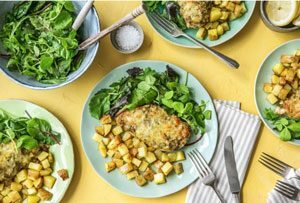 For a while now, HelloFresh staff have been working on major improvements to the company’s Family plan and since August 19, 2017, customers have the chance to enjoy the fruits of their labor. We couldn’t wait to see what they have come up with, so we organized a round of tasting immediately after the relaunch. Here’s what’s new about the HelloFresh Family Plan. If you thought that HelloFresh family recipes couldn’t get any simpler, think again. The new plan allows you to spend even less time in the kitchen, with amazing results. The meals take no more than 30 minutes to prepare. The recipes require the use of maximum 2 pots or pans and many of them are one-pot delights that allow you to clean up in just a couple of minutes. Combine that with premeasured ingredients and you get minimized effort with maximized pleasure. HelloFresh wasn’t happy with the number of meals it offered within the Family Plan and we have to agree that a bit more variety was to be expected from such a great meal delivery service. Now, this issue has been fixed, with 5 brilliantly crafted recipes on the menu every week. It is easy to create delicious recipes that call for loads of butter, carbs, and flavor enhancers, but that’s not really what you want for your family, right? Making the health and well-being of your loved ones its top priority, HelloFresh brings you recipes that strike the perfect balance between meat proteins, satisfying carbs, and fresh, nutrient-packed veggies. Everything on the new Family menu is incredibly healthy and equally delicious. In theory, cooking for your loved ones is sheer joy. In reality, you need to satisfy everyone’s taste with a single dish, which sounds more like mission impossible than an everyday task. The little ones can get particularly picky and their tastes change on a daily basis. One day they love carrots, the other they are pushing them to the side of the plate as if they were some alien fruit not suitable for human consumption. 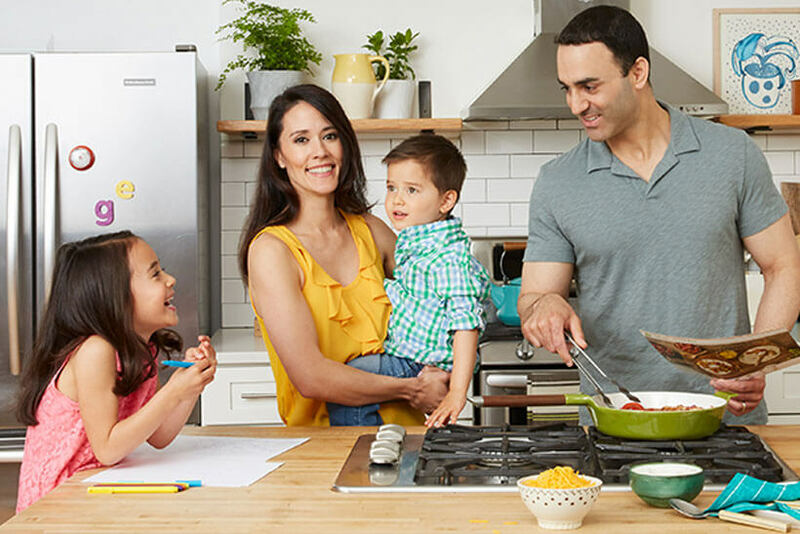 That is why the folks behind HelloFresh invested a lot of time into researching which ingredients, flavors, and cuisines appeal to the vastest majority of both children and adults. Finally, they came up with true crowdpleasers that not even the pickiest of eaters would look at with discontent. Keeping everyone happy has never been so easy.